Sydney Road is one of the most congested corridors in Melbourne, with the slowest average off-peak speed (9km/h) of any arterial road in the city. It’s stuffed full of traffic and no-one’s getting anywhere. Route 19 tram is the fifth busiest route in the whole network, carrying more than one million people every month. But as Brunswick get busier, trams get slower. People are giving up on driving. 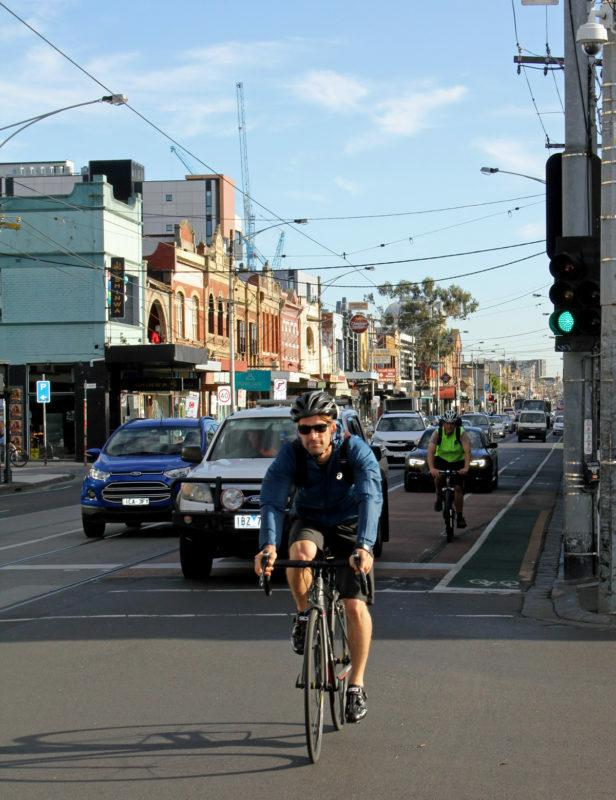 VicRoads data shows that the Average Annual Daily Traffic volume for Sydney Road between Moreland Road and Brunswick Road has fallen by 13% in the last decade. Sydney Road is in the top five worst stretches for car dooring in the state. In 2015, dooring took the life of 25-year-old rider Alberto Paulon. Since this tragic incident, nothing has changed. The Upfield Path is narrow and full. It has reached its capacity and needs its own upgrade. It is not an alternative to Sydney Road. It will also need to close for substantial periods for apartment developments and future level crossing works. Sydney Road is no fun for pedestrians either, with footpaths the narrowest of any shopping district in Melbourne. A lack of trees and open space, and noise and air pollution make it an unattractive place. In the meantime, 10,000 people are expected to move into the area in the near future. Everyone agrees that Sydney Road needs fixing. An upgrade to the Route 19 tram stops means that there’s a tremendous opportunity to transform Sydney Road into a vibrant shopping strip and place for people. The vision of an accessible, enjoyable main street for Moreland is the promise of a healthy, connected future. Revitalise Sydney Road has summarised the solution for Sydney Road in this blueprint for a transformation that caters for trams and interconnection with trains, for bike riders, for pedestrians and for cars. 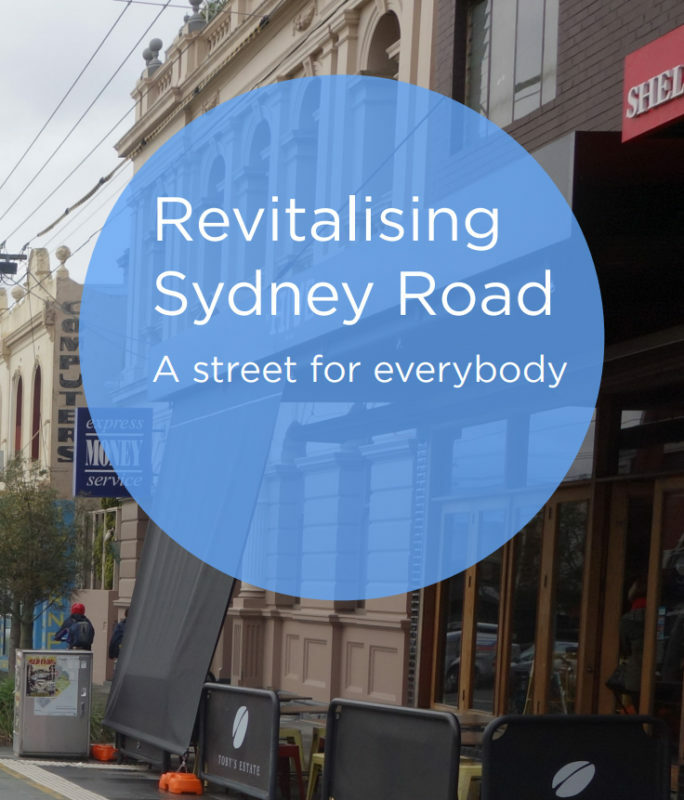 Take action and support the petition to revitalise Sydney Road. Become a member today and #togetherwecan build more places to ride. Share the petition, the campaign or your wish for urgent action.